While Undergoing Tissue Expander Reconstruction, look like you have perfect breasts! Three layers of 100% silicone that can be worn to mimic your natural breasts. Wear your clothes with confidence! Trulife has changed the way women go through tissue expander reconstruction. There has never been a breast form developed solely for the breast cancer patient undergoing tissue expander reconstruction, until now! 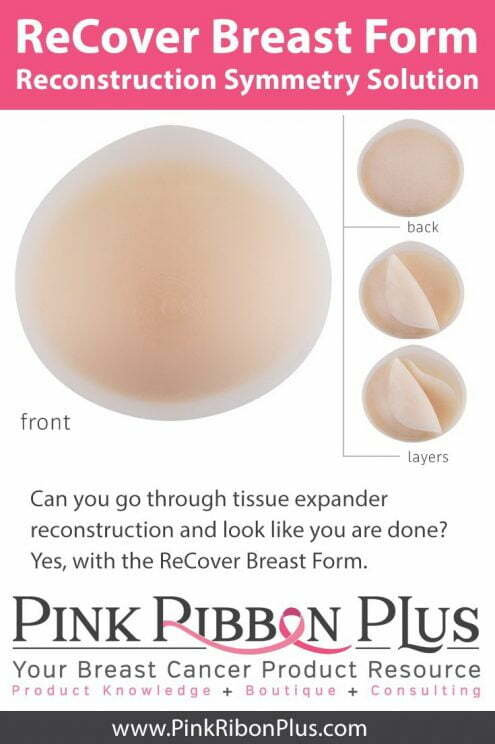 The ReCover Shell will fill out the breast(s) in stages, using 3 different layers of 100% natural silicone all-in-one product. It is truly one the most innovative and creative products to be launched for women opting for reconstruction. *Make sure you discuss how to wear ReCover with your medical team. **All payers have different criteria for reimbursement. L8030 is the Medicare billing code and other payers typically use this code to research your benefits. Insurance information can be found at https://pinkribbonplus.com/pages/insurance-benefits. For more information on this and other topics regarding breast reconstruction, please call our office to make an appointment with one of our doctors.